On Wednesday 8th May 2013, Year 9 students took part in a Brazilian themed ‘Excel’ day. Eastside Educational Trust, an award-winning arts education charity, visited Kingsbury High School with a team of 12 facilitators to deliver and engage students in high energy and creative activities. Eastside Educational Trust developed the Brazil theme to build on the 2012 Olympic legacy and to encourage students to access Brazilian culture ahead of the Rio 2016 Games. Students tackled the traditional Brazilian art-forms of Capoeira, Forum Theatre, Samba Dancing, Carnival Arts and Drumming, or explored other Brazilian inspired options including Circus Skills and Beatboxing. On the weekend of 10th-12th May 2013, Kingsbury High School’s Year 9, girls’ netball team went on a weekend visit to activity centre and listed building, Condover Hall in Shrewsbury. The team learned how to improve their netball skills and competed in matches against other UK schools. They also participated in activities including, laser maze, crab football and zorbing. The team were accompanied by P.E. teachers, Ms Withey and Ms McNeil. aida getachew from techkhs on Vimeo. 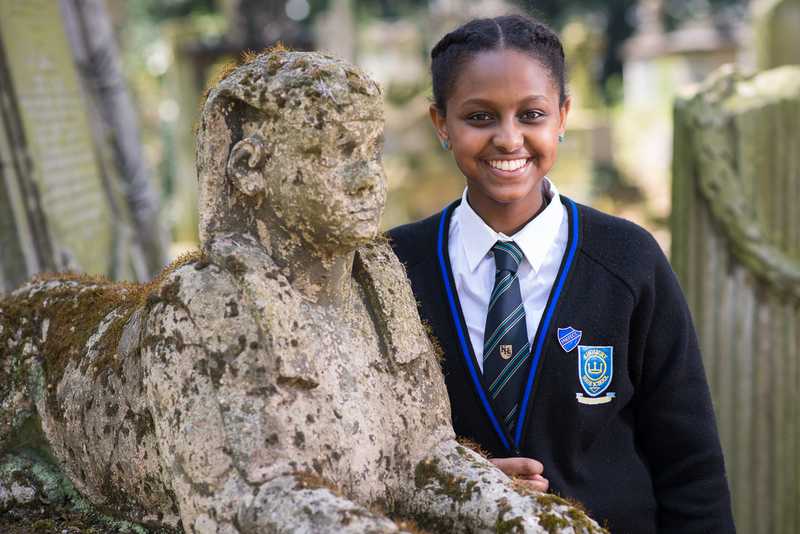 Year 9 student, Aida Getachew, started writing the Secrets of Life at the age of 12. At 13, she was a published author and at 14, she finally told everyone about it! The Secrets of Life, is the story of a teenage girl who undertakes a mission to find and protect an enchanted scroll, entrusted to her by her ancestors. Kingsbury High School students are eagerly awaiting the arrival of the Secrets of Life in the school’s libraries. The Secrets of Life is available to buy in paperback and on Kindle at Amazon. My Saturday school teacher asked me what I wanted to do when I was older and I told her I wanted to be an author. She told me that I better get started because it takes a long time to publish a book, so I started writing the following weekend. It took me about a year to write the book with breaks in between. Did you get writers block? What gave you inspiration for the story? I really like Harry Potter and anything fantasy. I love the idea that, in fantasy, nothing has to be real so I took that on board. I heard you kept it really quiet from all of your friends. Why was that? I didn’t want to tell them in case something went wrong or that it didn’t get published. How have you found the fame when your friends found out? No one believed me. My family did not believe me, my friends didn’t believe me, my teachers didn’t believe me so they took a lot of convincing, but it’s good. I’m still the same person, but with a book. What are your next steps? Have you planned another book yet? I might write one, but I’ve got GCSEs coming up so I’m going to study for them first. I might write one in the summer. I might do a sequel to Secrets of Life. How did you feel when you heard your book was going to be published? When I got the phone call, I didn’t believe it; I thought it was a prank. I was really excited, happy, I was going crazy. It was really good. How did your family feel? What did they say? They were smiling the whole evening. They were just really happy and they called me ‘author’ and ‘celebrity’, it was really strange. They were really proud of me. During ‘Eco-Project’ 2012, Year 8 students generated ideas to create a more Eco-Friendly school. One of the recurring themes was for students to ‘recycle more’. Presently the students only recycle paper. It was discovered by the Eco-Club that, Maths teacher, Ms Mpiani-Brobbe, collects clothes to send to Cherubs Children’s Home, an orphanage in Ghana. The club thought this would be an excellent way of recycling clothes and would tie in with the idea of ‘recycling more’ at Kingsbury High School. They promptly interviewed Ms Mpiani-Brobbe, publicised the project in assemblies, set a time scale for the collections, sorted the clothes, shoes and books before packaging. Where is the orphanage located? Cherubs Children’s Home is in a suburb of Kumasi which is one of the main cities in Ghana. At the moment, the age range of the residents is 8 months to 21 years. The youngest baby came in because her mum passed away just after she gave birth. Is it only clothes that you can use? Reading books will also be useful. The residents are taught on site as there isn’t enough money to send them to school. Shoes will be useful too. The eco-club and Ms Mpiani-Brobbe would like to say a big thank you to all the students and staff who made donations. 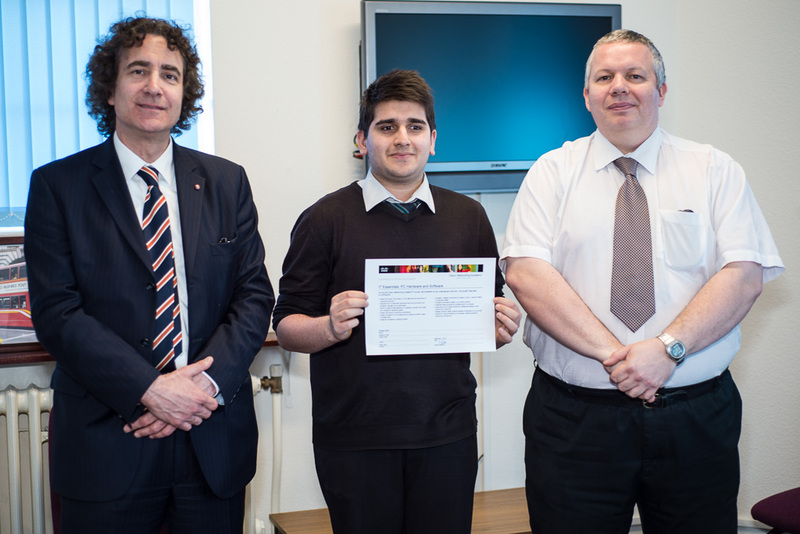 On Thursday 2nd May 2013, Year 11 student, Dhaval Shah, was presented with his certificate for successfully completing the CISCO IT Essentials course, by Head Teacher Jeremy Waxman and E-Learning Manager, Mr Fuller. KHS currently has sixteen students, ranging from Year 7 to Year 12, studying internationally recognised CISCO courses at the school. If you would like to study a CISCO course at KHS, please contact Mr Fuller.